We have a gift for you! We are always looking for ways to serve you that will help as we encourage the integration of our faith with our learning, living and leading. 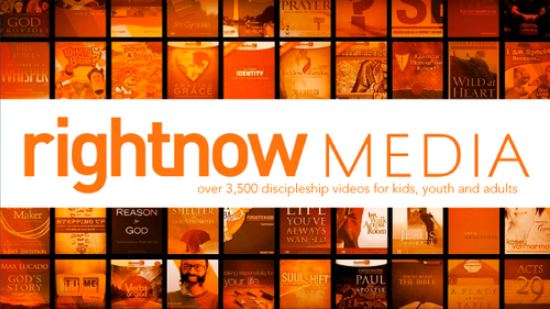 One helpful resource we’d like to offer is called RightNow Media. It's essentially the "Netflix of Video Bible Studies". You will have instant access to thousands of great videos for students, kids, youth, families, pastors, lay leaders, and others. You can view these videos directly from your phone, tablet, or computer. You can also view them in a group setting through a TV or projector. As a DVULI alumni you will receive an email with an invitation to get FREE access to this library. This email will have the subject line “A gift from DeVos Urban Leadership - Your RightNow Media Account” and will be sent on August 1st, 2017. If you don't receive it check your spam/junk folder. Once you've filled out the information, you will have more than 20,000 video Bible studies, leadership videos, conference sessions (Leadership Network, Catalyst, Resurgence), and resources on devotionals, discipleship, youth and Christian living from popular teachers like Francis Chan and Tony Evans at your fingertips. Enjoy! From all of us at DVULI!